Ah muffins…the glorified bald cupcakes of breakfast-time. Muffins are one of my favorite breakfast foods because they are good for on-the-go mornings. Plus, I don’t typically like big, heavy breakfasts because then I feel sluggish. Well…I do like big heavy breakfasts because they’re delicious, but only on lazy non-work days where it’s ok to be sluggish. Muffins, however, are good anytime. 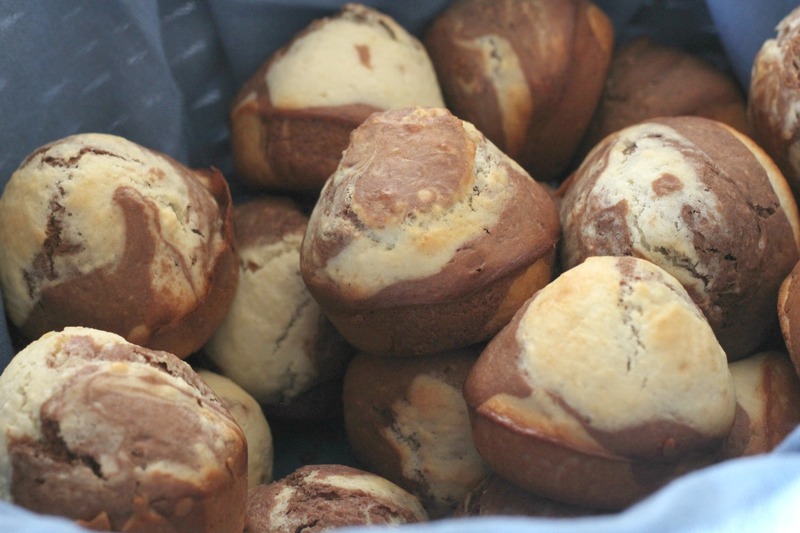 These are chocolate and vanilla swirled muffins. Honestly you can’t really taste a distinct chocolate or vanilla flavor, but it does have a sweet taste and is not just a boring ol’ muffin. Plus they look pretty cool! After serving this for breakfast to my Sunday School class, I still had a few left over. So you know what I did? I slapped some chocolate frosting on those suckers and turned them into cupcakes. And they were GOOD. Preheat the oven to 400°, and lightly coat 12 muffin cups with nonstick cooking spray. In a large bowl, stir together the flour, baking powder, salt, and sugar. In a small bowl, lightly beat the egg. Add the milk, oil, and vanilla. Make a well in the center of the dry ingredients, and pour in the wet, stirring just until moist. Divide the batter between two bowls, and stir the sifted cocoa powder into one. Bake the muffins for 18-20 min, or until the tops are golden and risen. I’m so touched you tried them! Your chocolate frosting sounds like an amazing addition. I’ll definitely have to try that next time! I had a couple turn out with more conical tops, but they were off-center! 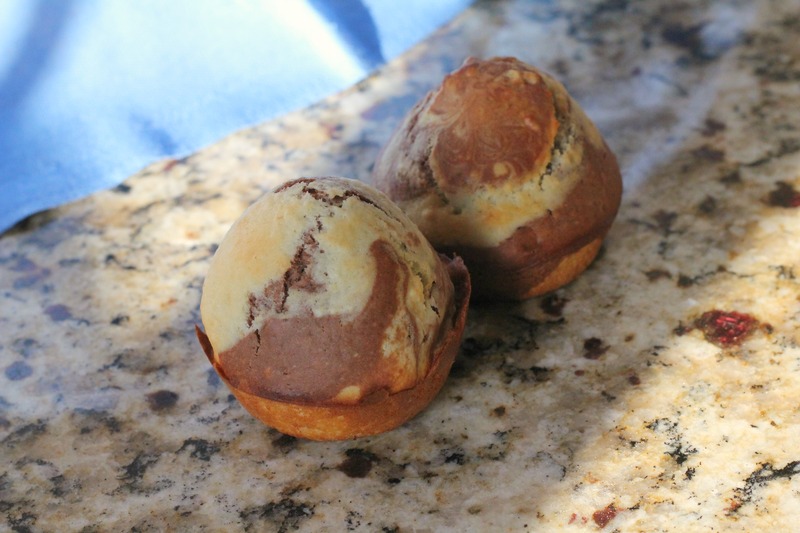 (I just didn’t photograph those…) I think it had to do with how I layered the batter; when the majority of the batter was off to the side of the muffin cup, that’s where the cone-shaped dome appeared.